Condensation what are the causes? As winter arrives it brings our attention to the damp and condensation problems that are lurking in our homes. This is probably one of the most common types of dampness in your Home. In fact this will cause wallpaper to lift. Damp patches to appear on walls and a build up of moisture on your windows as well as your ceiling. If this condensation is not treated it will lead to mold growth which can be potentially harmful. This can lead to health issues and breathing difficulties. The reality is that four people living in a average size home can create as much as 8 Liters a day of condensation in your home. Condensation is also cause from bathing boiling a kettle as well as cooking. So how can you reduce Condensation in your home? To avoid mold growth one would have to wipe down the walls and ceiling regularly and use a dehumidifier. This is time consuming and rather expensive option. The best option is to get rid of the problem rather that try and make a plan to get through winter after winter. 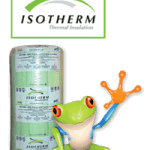 Start looking at Ceiling Insulation like Isotherm Ceiling Insulation or Aerolite. 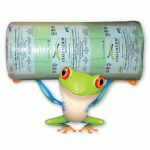 This will make the home or room warmer and this will reduce the condensation. Also look at ventilation in the home to allow better breathing. 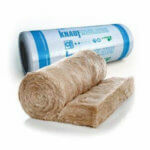 When Insulating your roof make sure to use the correct Ceiling insulation with the recommended R-value for your region. The Western Cape and Johannesburg and Pretoria R-value 3.70 is very important. 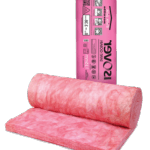 Read the insulation specifications page to make the correct decision. What is Condensation and How Does it Form? Lets firstly define what Condensation is and what causes it. Water in the air as the water in the air settles on much colder surfaces like windows walls and ceiling and make them wet. Very much like a glass filled with cold water sweating on the outside. If moisture is left un attended this will eventually effect paint work wall paper as well as ceilings. Metal windows as well as older wooden windows are well know for assisting in creating more condensation in the home. Dampness also encourages the growth of mold spores which thrive in these moist areas. This mostly leads to black sooty mold on windows, and you might also notice mold on walls. Even on curtains, where cold has been allowed to build up over time. This will also have a strong odor. All air contains water vapor the amount of water that the air carries is effected by the temperature of the air. This is Called Relative Humidity. Hot air carries more moisture than cold air. This means as the air rises it is able to carry a higher volume of water. Most Effective Way to Control Condensation. In most cases a insulated roof will reduce the cold in the home. Now a home that is well insulated will retain heat much longer than a un insulated home. So heating through out the home should reduce condensation in most homes. If the air in the home is freezing remember that if the dew point is low you will have condensation in the home. When there is cold air that meets warm air from breathing or bathing or cooking. If the air is warmer then there is less of a problem. Alternative ways to reduce condensation. Washing machines and tumble dryers must be in an area were it is well ventilated. It is better to hang wet clothing up outdoors to avoid the condensation. If this is not possible leave doors or windows open. When cooking or bathing or even taking a shower make sure that the doors are closed. 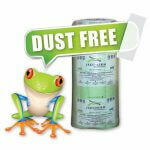 This will reduce the spread of condensation to other areas of the home. Also look at extractor fan to remove some of the condensation. When cooking make sure that you cover your pots and pans with a lid to reduce moisture. Also ensure that you have opened a window or you are using an extractor fan if you have one fitted. Don’t turn off the extractor fan or close the window as soon as you finish cooking . Leave it open for 15-20 minutes afterwards to clear the air. 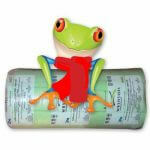 Portable gas bottles and paraffin heaters produce a lot of moisture, along with a lot of toxic fumes. This form of heat causes excessive condensation in your home, it is also a health and safety hazard. If you don’t have an extractor fan in your bathroom or kitchen make sure you wipe down all walls as well as ceiling after a bath or shower. Do not pack to much clothing etc into bedroom wardrobes etc as this will help mold growth in these areas. If there is no space for air flow then the clothes etc will become moldy. For the same reason as above, make sure that your furniture in the room is at least 50mm away from all walls so that air flow can move around the room. Also put wardrobes against internal walls rather than the colder external walls as this will create mold in the clothing. A very musty smell will develop. Make sure your home has enough heating as a warmer home will reduce condensation. If a lounge is being used by a few people on a cold day and you have a condensation problem remember to open a window to help airflow and reduce the condensation. Insulating the roof space with Roof Insulation and Double glazed windows will make the room warmer and this in turn will reduce the condensation. Make sure your home can breather check all vents and extractor fans and roof extractor whirly birds are a great help in certain applications. These symptoms are listed in the order they are most likely to occur. In other words, in the places most at risk of condensation forming. Is it rising damp or condensation? Let us look at the rising damp myth, which is that all damp at low level must be rising damp. Let us be clear here, it is rarely rising damp. It is usually condensation although it can also be penetrating damp. Where water is getting in through damaged or shoddily built areas such as through a roof leak. Cracks render failed wall ties and damaged brickwork or badly fitted window frames. Rising damp may occur in certain circumstances but it is very rare in modern housing. Question – Wet walls below 1 Mtr is this condensation or Rising damp? Answer – The interior surface of external walls tends to be the coolest surface in the room, so they naturally attract condensation. Answer – Yes it can! There is no such thing as ‘just condensation’. It can be a cause of major structural damage as well as damaging paintwork, soft furnishings and clothes, if allowed to carry on unchecked. Question: We have a three bedroom home and ever since we changed the metal window frames for new PVC double glazed window frames. We have a substantial amount of condensation in the home. Some rooms far more than others. We have no condensation in our bedroom were we have heating but in other parts of the home like our lounge etc there is condensation. Answer: Warm moist air meets surfaces that are cooler than its dew point temperature. The problem with heating some rooms and not others is that the warm air in the heated rooms will absorb water vapor. And then migrate throughout the house. When it meets the cold glass of your bedroom windows, the air becomes unable to hold so much moisture, which condenses. The best option is to make the home warm enough and increase the dew point. Plastic, double-glazed windows can often make condensation worse, because they are airtight. Old metal windows leak air and this has probably helped getting airflow and moving out warm condensation air that is rising. This could be an easier fix as one could have vents installed above window height. 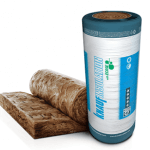 Refer to Insulation products that will give you the right R-value products like The Isotherm 145mm thick and the Aerolite 135mm thick are ideal to use and remember to use a fireplace or heater as well.